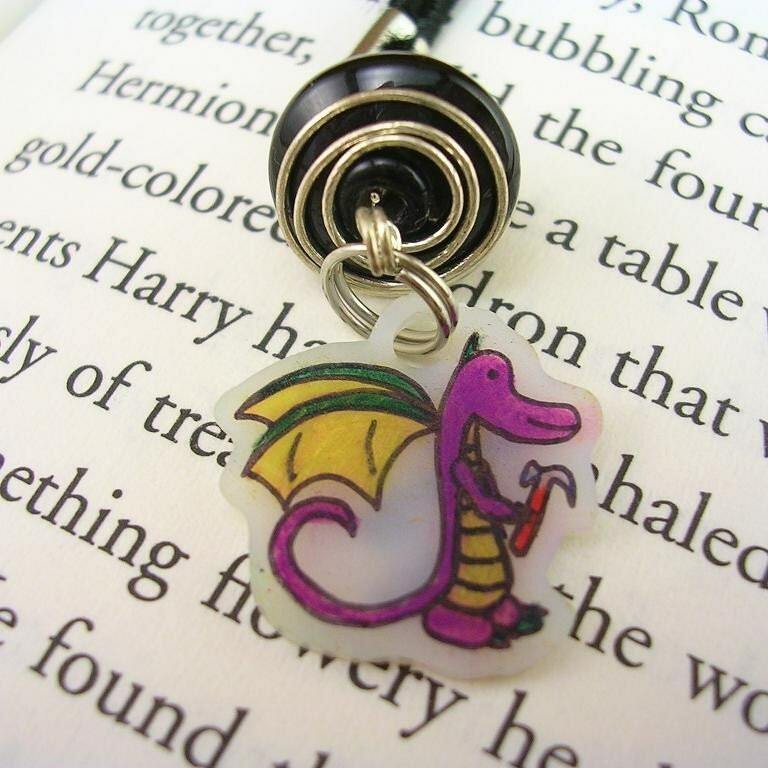 I have been busily stocking up my shop with dragonling bookmarks! 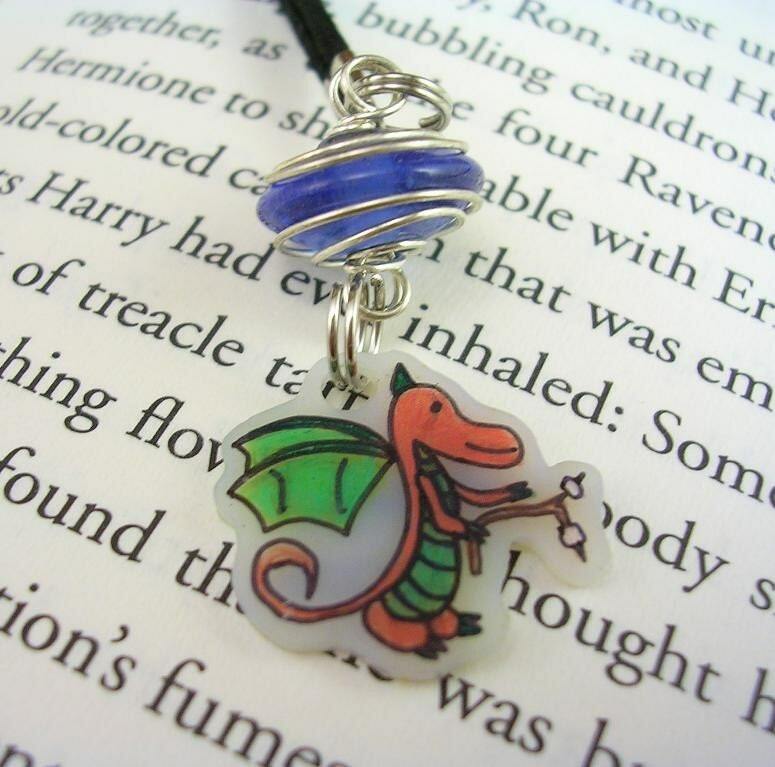 I am so excited to finally get these listed. We just won't mention that I originally made these a year ago. I always used to look at those "Book Thongs" they would sell in Borders and think, that's a good idea but...But they would get tangled on the rack so you couldn't see them. And they were just so awfully put together. The colors, the charms, the whole thing left me very disappointed. Not to the mention the thing string they used seemed at risk for fraying though if used a lot. So when VAST held a contest for bookmarks, that was all the kick-in-the-rear I needed to actually get my bookmarks put together. 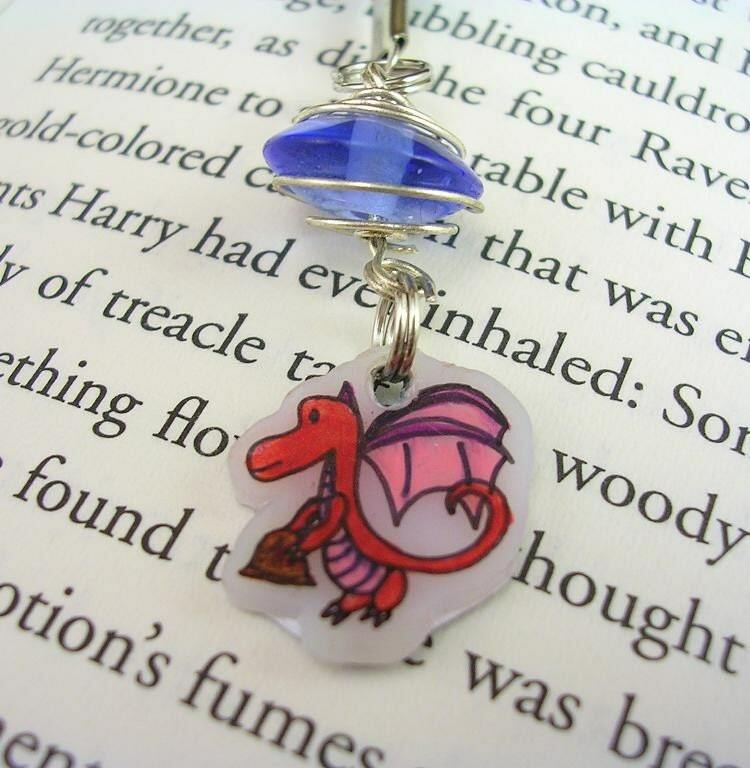 The contest went swimmingly, with lots of beautiful entries, and I was absolutely delighted to discover that my little dragonling bookmark had won! 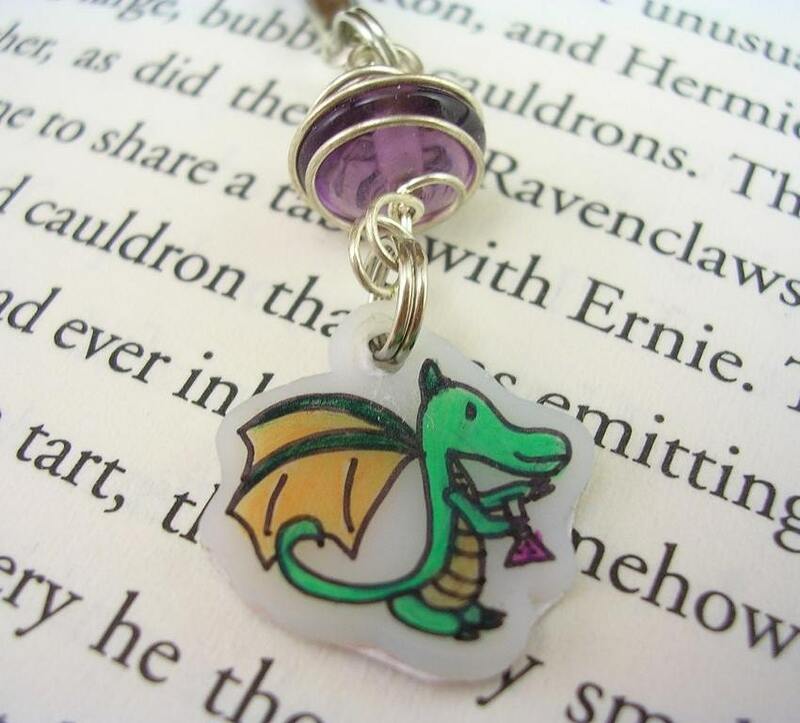 I listed a couple on Etsy, made up an additional batch and bought the supplies for many more. And then the idea stalled out somehow. I took them to my craft shows, but I never quite got around to taking photos of the rest of the bookmarks to list on Etsy. Well finally, this weekend, in my previously described fit of phototaking, I got that done! YAY! glad to have you as a new FlickR contact--just stopping by to check out your blog. :-) fun stuff! Your dragons have such sweet expressions! I'm more of a monkey girl myself, but those scaly guys sure are cute. P.S. I am recycledideas on etsy.